We are pleased to announce a comprehensive Macular Health Initiative designed to identify the risk factors for Age Related Macular Degeneration (ARMD) and provide preventative care for those at higher risk. A basic understanding of the macula is crucial to understanding of this initiative. The Macula provides our central, sensitive 20/20 vision. The macula can become damaged by oxidative processes brought on by UV light, smoking, poor diet, and anything that promotes inflammation within the body. 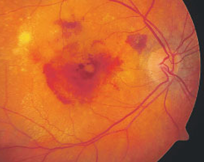 The macula protects itself with pigment that filters blue light and acts as an anti-oxidant. The more pigment, the more protected. Age Related Macular Degeneration is linked to genetics and the oxidative damage acquired as we age. If we can boost the protective pigment, we can prevent oxidative damage and decrease risk of ARMD. 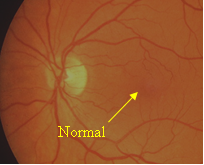 Progression from normal macula function in figure 1 to dry macula degeneration in figure 2. Finally we see wet macular degeneration in figure 3. Preventative measures aim to catch all stages of dry ARMD and arrest its’ progression. 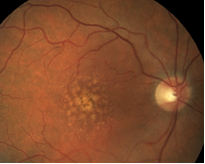 Visual outcome of wet ARMD is typically devastating and often requires ocular injections. 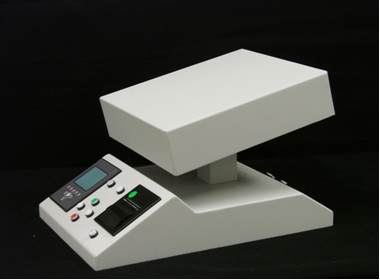 This cutting-edge technology measures the protective pigment found within the macula. Studies have shown a strong correlation between low macular pigment and increased risk for Age Related Macular Degeneration. This diagnostic instrument provides a greater understanding of each patients risk profile and thus a better idea of when to initiate therapy. Currently we are the only provider on the Eastern Shore with this capability. 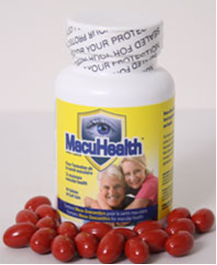 MacuHealth soft gel supplements are the newest ARMD specific vitamin and have been shown to increase macular pigment within 4 months of supplementation. While AREDS 2 formula multivitamins were specifically studied in the context of slowing the progression of moderate ARMD, MacuHealth has been shown to increase the protective pigment layer in healthy individuals. An increase in macular pigment has also been shown to decrease light sensitivity, glare and increase visual acuity. 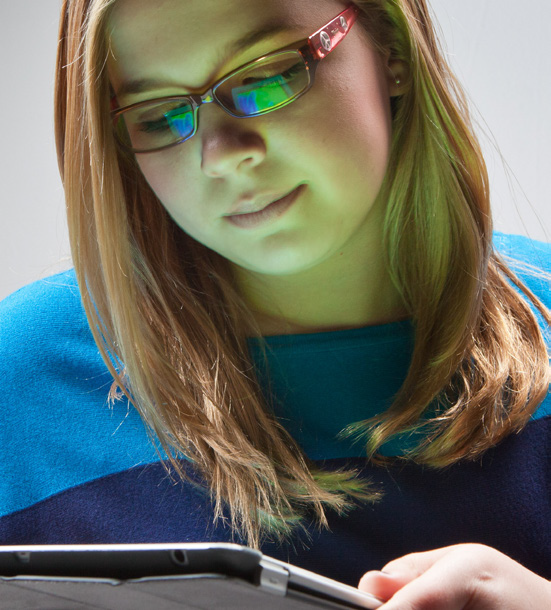 High Energy blue light provides the greatest UV damage to the macula. Its’ effects are cumulative and cause a gradual erosion of cellular function. Unfortunately, the greatest daily sources of blue light are the electronics that we spend most of our day in front of: computers, phones, tablets, and TV’s…not to mention fluorescent lighting. If you consider the fact that macular pigment blocks blue light specifically, it only makes sense that an eyeglass lens can further minimize or exposure. BluTech lenses block greater than 80% of high energy blue light. Additionally they provide improved visual performance through enhanced contrast, visual acuity, reduced glare and improved night vision.